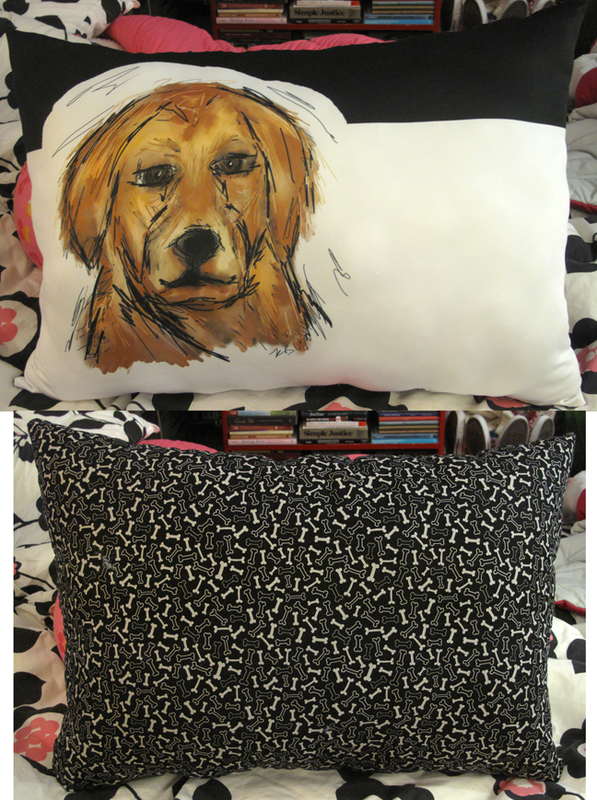 New Surprise for My Psychiatrist: Dog Pillows! 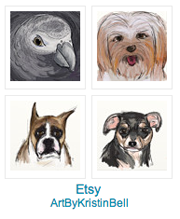 Well, I posted about my dog pics that I’ve been drawing. 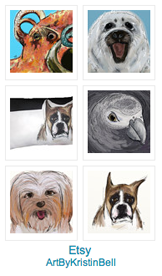 And I used spoonflower.com to print two of the dog portraits for my psychiatrist. These are his two dogs. 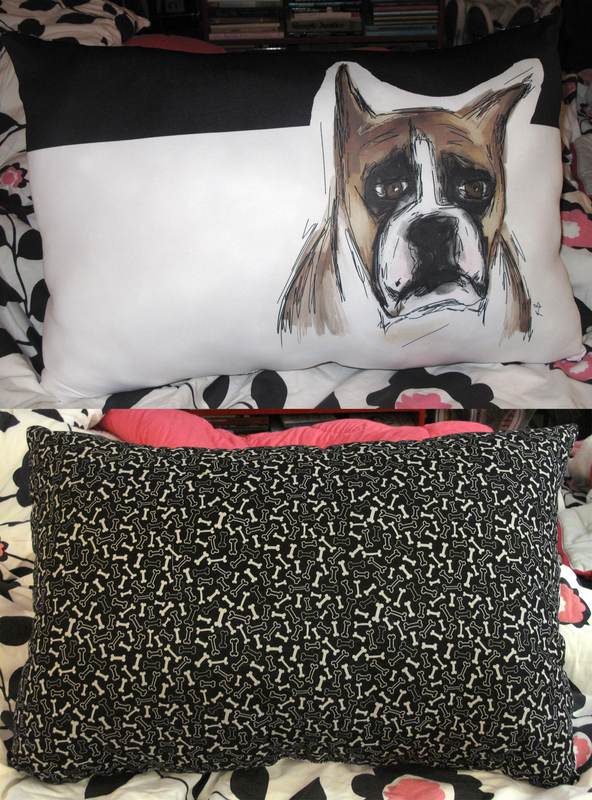 Anyway, I made pillows! Yay! I think they are pretty cool! :) :) I hope he likes them! Perhaps the best and most thoughtful gift ever. The pillows were clearly the best Christmas present of the year and I am honored to have received them.